December | 2010 | The Jamestown Comet. INDIANA – An earthquake measuring 3.8 on the Richter scale struck just before 8 a.m. Eastern Time Thursday morning. According to the U.S. Geological Survey the quake was three miles deep and was felt well into western Ohio. Officials say that the epicenter was located approximately 15 miles southeast of the town of Kokomo, about 50 miles north of Indianapolis. Minor damage was reported in Indianapolis and residents in west central Ohio felt vibrations in floors and furniture. JAMESTOWN – After nearly a year of retooling, the management of GLD Enterprises Commercial Writing in Jamestown is looking forward, and in a new direction. Established in 1998 as a media production and talent referral agency, the company has changed names and focus to concentrate solely on business copywriting and public relations consulting services. 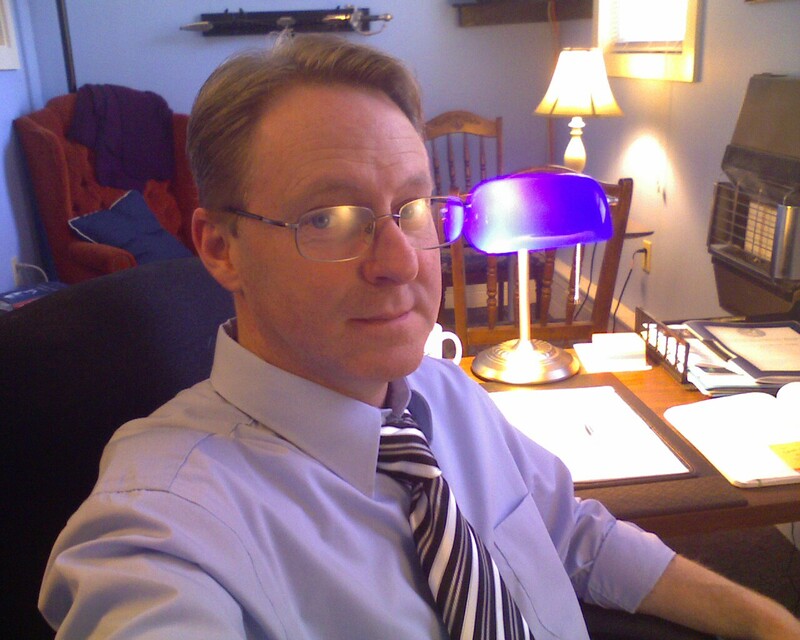 Freelance writer and speaker Gery L. Deer is the managing copywriter and owner of the firm. While much of his early background is in engineering and technology, he has had more than two decades of experience in freelance journalism, public relations and commercial business writing. “We were already handling a good deal of work in the areas of business writing and public relations, so it wasn’t a difficult transition but it meant redirecting our focus, especially in the new economy,” said Deer. The company has already provided services to major players in the Dayton regional business market including accounting firms, chiropractic clinics, marketing and advertising agencies, construction firms and specialty companies. No stranger to the business community, Deer has worked with some of the best known organizations such as Standard Register, IBM and Whirlpool Corporation. As a freelance writer, he has provided content and editorial services to every major print publication in the Dayton region and had his share of notoriety. In 2010 Deer was nominated for the Ohio Public Image Network Award in Media and considered for a Pulitzer Prize in journalism. His weekly, self-syndicated op-ed column, Deer In Headlines, is featured in more than a dozen print and online publications. His work in the entertainment industry spans the gambit from stage to television and includes event development, script consulting, stunt work and variety performance. Reworking the operation required some outside input, so Deer enlisted the resources available through the Small Business Development Center at Wright State University’s Raj Soin College of Business. Over three months students from the college were assigned to help analyze the company’s business plan and make adjustments where needed. The result was a thoroughly different company, complete with a new marketing objective, updated products and a fresh website full of information and testimonials reflecting more than a decade of work in the commercial writing industry. Thanks to an efficient network of contacts, GLD Enterprises Commercial Writing, nicknamed The Concierge Copywriter ™, will be able to assist companies located anywhere in the country. According to Deer, however, they will focus on the areas of Dayton, Columbus and Cincinnati, Ohio at first. Deer also noted that the new spin-off firm will operate out of their main office in the studios of GLD Enterprises & Productions in Jamestown. For more information, contact Gery L. Deer by calling (937) 902-4857 or visit www.theconciergecopywriter.com. According to the dictionary, kindness is defined as the quality of being warm-hearted and considerate and humane and sympathetic; the tendency to be kind and forgiving; or a kind act. We tend to see more examples of kindness during the Christmas holiday season, but one recent event came without prompting and I am reasonably certain it would have happened any day of the year. A few weeks ago I was in the office of my mother’s cardiologist just after her routine checkup. As an Alzheimer’s patient, my mom has to have someone to communicate issues to the doctors, report on her condition and relay any problems so the proper care can be administered. Fortunately, she has been doing well lately and the cardiologist was pleased with her stable condition. As we were preparing to leave, my father and I were trying to help her back into her coat, a task that is challenging enough when she is cooperating but nearly impossible when she decides she doesn’t want to help. The long, puffy winter coat just wouldn’t go over her arms the way it was supposed to and she insisted on keeping her elbow bent and tightly tucked between the arm of her narrow wheelchair and her side. With her particular brand of dementia, all you can do is wait her out and distract her until she gives in and allows you to put the coat on. Unlike working with an obstinate child, mom has lost her sense of reasoning so applying logic or some kind of reward system is useless. You just have to be patient. Even so, she was having nothing to do with the right arm of her coat that day. Just then a woman walked up and asked if we needed help. Her kind, grandmotherly eyes and concerned look told me that dad and I must have looked thoroughly out of our element in dealing with the situation. Anyone who sees me with my mom can tell you I’m somewhat overprotective. The Alzheimer’s has left her easily startled and mistrusting but she seemed to respond to the woman who bent down to talk to her as she spoke. “Your problem is you have men doing a woman’s job here,” she said, smiling. Mom grinned back as if she got the joke. I couldn’t have agreed more at that point. As I kept mom distracted the woman managed to work the coat over the bent elbow. As we finished getting mom bundled for the ride out to the car, the woman said, “Aren’t you the one who writes the column in the paper?” I replied that I do and she told me her name was Louise and that she reads my column in the Xenia Daily Gazette. She apparently heard my name when the nurse called us back for mom’s appointment. Louise didn’t offer to help because she recognized me; in fact I couldn’t have looked more inept at the moment. She did it to help my mother in a totally selfless act of kindness. To some, helping an old lady in a wheelchair on with her coat on might seem a small gesture. But to me, it is a great statement of the inherent good nature of people. We live in a coldly cynical world and to have someone step forward to offer help in such a way is more appreciated than most people can understand unless they have been in the situation. We don’t appreciate how easily we do things like put on a coat until we can no longer do them for ourselves. Louise didn’t just help keep my mother warm that day; she also helped to preserve her dignity. So, I wanted to take this time to offer, from my father and me, the sincerest of thanks to Louise Young of Xenia and to let her know, for what it’s worth, “My mom would have liked you.” And, from my family to yours, and to all Deer In Headlines readers, please have a Merry Christmas and Happy New Year.